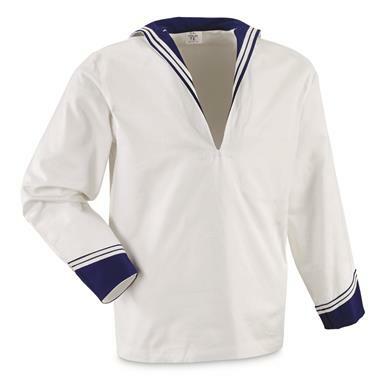 Top-of-their-class Italian Middy Shirts, as worn patrolling the Mediterranean and engaging in peacekeeping missions around the world. Slip one on and you can practically smell the fresh, salty, sea air. Perfect for costumers, collectors, or just adding genuine surplus style to your ensemble. 2 Middy Shirts, here for LESS! 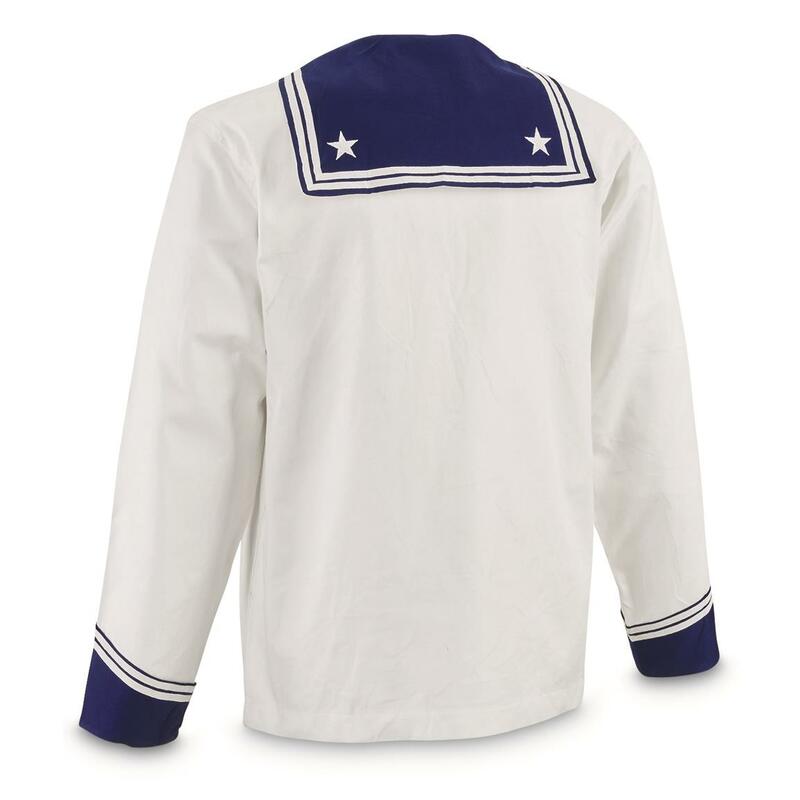 Italian Military Surplus Sailors Middy Shirts, 2 Pack, Used is rated 4.0 out of 5 by 1. Rated 4 out of 5 by Shirohniichan from Four sizes too small The shirts came clean and in nearly-new condition, but the the XL size is closer to a US XS. Both are stamped "9" (or "6"), but I don't know how Italian sizes compare with those of the US. My nephew wears a men's Small shirt, but even he was unable to fit into it. While the quality of the shirts is very good, the XL size is better suited to petite adults or pre-teens. I can't comment on the comfort of the shirts as I've yet to find anyone who can wear them.